Basil Manly Boykin, Basil Manly Boykin Ancestor Chart, , 1950?. Will* 12 Apr 1777� He made a will at Craven Co., North Carolina, on 12 Apr 1777, naming as heir(s) Catherine Whitaker, Catherine Whitaker, Willis Whitaker, John Wiggins Whitaker, James Whitaker Jr., Martha Whitaker, Mary Whitaker and Simon Whitaker. , Anderson, SC: Kays-Hearn, 1925 (Pages 115-117). E-mail written Dec 2008 to Warren Culpepper from Cary Adams, e-mail address. E-mail written May 2009 to Warren L. Culpepper from Lori Whitaker, e-mail address. Research note* � There is a dispute as to whether Christopher Clarke's wife was Penelope Johnson or Penelope Bolling. I have Royalist Dr. Arthur JOHNSTON/JOHNSON, one of King CharlesII physicians, who with his possible wife Barbara GORDON and children leaves Aberdeen when seized by the Covenanters to live with married daughter in Oxford, England. His son Edward Johnson (apparently converted to Quakerism in England?) marries at age 39 in 1677 Elizabeth WALKER, daughter of Alexander Walker, shortly after his arrival in New Kent Co VA, ca 1677. Alexander Walker, who travelled with Edward Johnson, had been excommunicated for being a Quaker. With Walkers and Johnsons was William EDMUNSON, one of the fathers of NC Quakers. Edward Johnson and Elizabeth Walker are believed to be the parents of Penelope Johnson who married Capt.Christopher CLARKE (b. 1681, Nansemond VA, d. 1754, Louisa Co VA), son of Micajah Clark and Sallie Anne MOORMAN. However, some records show this Christopher Clarke to have married Penelope BOLLING. Of course, there is a tendency to favor the Bolling marriage because then you get to claim Pocohontas and other lines. Also, William and George Rogers Clark, famous expeditioners, etc., also are claimed by this Clark family, which goes many lines beyond Micajah that I haven't started to digest. This Christopher Clarke, according to the Penelope Johnson camp, was said to have joined the Quakers later, in the 1740s. ?? He is also said to have patented land in 1722 with one Nicholas Meriwether in Hanover, where Clark was a tobacco planter, militia captain and justice of the peace. They were large landowners in Hanover, Albemarle and Louisa Cos. I am particularly interested in whether any of you are familiar with this Clark controversy? Did Christopher Clarke marry Penelope Bolling or Penelope Johnson? My grandmother was a hobbiest-genealogist from 1925 through 1945. She and my grandfather worked together on family history and I was the beneficiary of an Ancestry Chart that has proven to be a treasure trove. Most of my mother's family migrated from VA to Wilkes Co., GA, then over to Gwinnett and Barrow. The Anthony and Blakey line I follow came to Wilkes after the Am Revolution. My grandmother was extremely meticulous with her research and I have found VERY few mistakes as I have attempted to verify her work. I have an Ancestry Journal she wrote in long hand with each family tree, dates of birth and death, and even some side "notes" when she received information worthy of penning it for future generations. Penelope Anthony is listed on her ancestry chart as Penelope Bolling Clarke, wife of Christopher Clarke and mother of Elizabeth Clarke. Bolling is a family name that continued down through my great-great grandfather, Bolling Anthony Blakey, grandson of Churchill and Agnes Anthony Blakey. With help from several other genealogists in GA and two who are "specialists" in Wilkes County history, I have found a surplus of the name BOLLING in almost every line of the family. In fact, I was able to untangle the confusion of at least three men whose genealogy had been entwined. I say "I" but actually I give credit to my grandmother's excellent recording from family Bibles, letters, etc. I have found that when a name re-appears generation after generation it solidifies the ancestry. There is NO Johnson in any of Anthony family names, I might add. Penelope, in my grandmother's ancestry chart, is the missing link in terms of birth, marriage and death dates, places. There was plenty preceding her name and certainly plenty following that name, but she had penned in "Penelope Bolling" as the wife of Christopher Clarke and left it at that. Since so much material is available on the John Rolfe-Pocahontas lineage, it was not difficult obtaining the information in descending order rather than the usual ascendency method. I will list the families beginning with Joseph Anthony, Sr to John and Rebecca Rolfe. m: 1709 [Penelope Bolling] pob: New Kent Co VA ? Janet Hunter, compiler, e-mail address, Johnson/Clarke/Anthony in VACULPEP-L archives, Rootsweb, 27 Oct 1998. Relocation* say 1805� He relocated say 1805 at Popcastle, Putnam Co., Georgia; Below Ashbank lies the Popcastle GMD #308. Here lies the mouth of Lick Creek and the boundary between Popcastle and Rockville District at Long Shoals farther south. Captain William Adams, whose property was at Long Shoals, served as the militia captain for Popcastle District. Many of the families of this district had previously been successful planters and leaders in Hancock County. They provided strong influence and leadership in this community, in Putnam County, and at one time, in Georgia. Will* 29 May 1843� He made a will on 29 May 1843, naming as executor(s) Mark Anthony Cooper, Dr. Samuel Boykin and Eugenius Aristedes Nisbet, naming as heir(s) Micajah Cooper and Emily Branham. Biography* � Thomas Cooper, born in Henry County, Virginia, in 1767, came to Putnam County, Ga., and died in Eatonton, Ga., in 1842. He was the first man to raise cotton for market in Hancock County. The cotton gin had not then been invented, and he invented a roller gin for his own use. Cotton was then worth from fifty to seventy-five cents a pound. 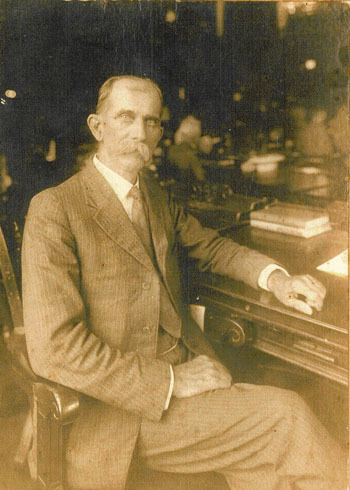 Thomas Cooper was one of the original subscribers to the Georgia Railroad. He aided in the founding of Mercer University, was among the first subscribers and supporters of the Columbian Star, afterwards The Christian Index, published first in Washington, D. C., then in Philadelphia, and now in Atlanta. Dates are only estimated, but Clinton Cooper is believed to have died as an infant. "Alexander's - Southside VA/NC, GA & AL"; contact: e-mail address. Will* 16 Dec 1783� He made a will at Martin Co., North Carolina, on 16 Dec 1783, naming as executor(s) Lemuel Wiggins, naming as heir(s) Elizabeth Bevins, Blake Baker Wiggins, Elizabeth Wiggins and William Wiggins. "The Baker land above would have been in Bertie County until 1741, in Edgecombe County until 1777 and in Nash County after that. "The Baker/Marsh Branch/John Wiggins connection could be a coincidence but maybe someone has some other suggestions. Edgecombe Co., NC Deedbook 2, page 8, deed date 4 Sep 1772, recorded Nov Court 1772, Abstracted 22 May 05, NCA film C.037.40005, CTC. Provided to Culpepper Coonections by Guy Baker. E-mail written 29 Mar 2008 to Warren Culpepper from Guy Baker, e-mail address. Marriage Index: MD, NC, VA, 1624-1915, CD-ROM Volume 4. Tree #3693Date of Import: Jan 22, 1998. Family of Nathaniel Cooper by Marshall Cooper. Harold R. Bronson married Dorothy Catherine Van Etten in 1938 in Escambia Co., FL, Vol 467, Cert 23593. Alexander Hamilton Stephens Culpepper M.D. Obituary* 15 Oct 1926� End comes without warning to Homerville's Mayor Tuesday night, burial held today. Homerville was shocked to learn of the sudden death Tuesday night at his home here, of Dr. A. H. Culpepper. Attacked with heart trouble, suddenly he passed out in a minute or two without getting to say anything to his wife who rushed to his side when she heard him gasping. He had been to Valdosta that day and had returned on the afternoon train. He complained of feeling fatigued, but no idea was entertained that is was to precede his death. He and his wife retired and about ten thirty. She was awakened by his loud gasping for breath. Drs. Huey and Bruce were called but death had already intervened. The funeral was held this morning at the Baptist church, services being conductd by his former pastor, Rev. R.W. Bugg of Gainesville, Fla. All the children except Keff Culpepper and Robert Culpepper of Hot Springs, Ark. were present. The beloved former pastor paid a warm tribute to the memory of the deceased. Touching tributes were paid to his life and services by several citizens among them Mr. A J. Gibbs, Dr. H. G. Huey, School Supt. J. O. Rodgers, Mr. Geo. M. Dame, Editor Folks Huxford, and Mr. W.H. Hunter. After the services at the church the remains were carried to the town cemetery of which he was a trustee, and there the county convicts had been assembled and were allowed to view the remains for the last time. The convicts had been the object of his professional care for over fifteen years, and many of them wanted to attend the funeral. The school children also attended numbering about 250. The church was crowded many being unable to get in. The board of deacons of the Baptist church, of which Dr. Culpepper has been chairman for the past four years, were honorary pallbearers. The active pallbearers were: Messers A. J. Gibbs, W. V. Musgrove, J. T. Dame, Geo. M. Dame, A. A. Hall, A. N. Carswell, J. O. Rodgers, and Dr. H. G. Huey. The Masonic funeral ceremony was conducted at the grave. Dr. Culpepper had lived in Homerville since 1898 and was one of the town and county's leading men. His stand in civic matters and town and county affairs generally, called him into prominence as a leading citizen. Possessed of a genial, hositable and sympathetic nature he had a winning personality. As a physician he enjoyed the confidence and respect of his fellow-practictioners. Dr. Culpepper was born in Warren County, April 1, 1852, and received a very thorough education in the old Warrenton Academy. He studied medicine and after receiving his degree from the Atlantic Medical College in 1892 he began the practice of medicine in Atlanta and practiced there until he came to Homerville. He made a couple of unsuccessful races fot the legislature before being elected in 1912. Serving through the session of 1913-14 he was defeated in 1914 by Judge R.G. Dickerson. In 1916 he was again elected defeating the late David J. Smith. In 1918 and 1920 and 1924 he was again an unsuccessful candidate. The doctor familiarly knew many of the leading men of Georgia and enjoyed a wide acquaintance among them. In 1904 he was elected Mayor of Homerville but failing to get through certain sanitary measures he advocated then, he resigned and did not seek the office again. However, in 1923 he was elected mayor and re-elected in 1924. Last January he was again elected. Dr. Culpepper took a deep interest in the town's affairs and in recent years the two things that seemed to interest him most was the town affairs and the church affairs. On locating here in 1898 he was appointed local surgeon for the A.C.L. and held that until his death. In 1909 on the organization of the county chain-gang he was appointed county physician and from then until his death he looked after the health of the convicts and during this time only two died. The doctor united with the Homerville Baptist church in 1904 and in 1909 was ordained a deacon. Three years ago the board of deacons which numbered nine, elected him their chairman and as such he has had a big part in the government of the church. For eight or ten years, he was the faithful superintendent of the Sunday school. Since 1922, he has been the assistant superintendent. In 1874 Dr. Culpepper was married to Miss Jennie Riviere and to them were born four children: Keff S. of Atlanta, Robert of Hot Springs, Ark., Mrs. Jolly and Miss Irma Culpepper of Clarkston. After her death he married in 1886 Miss Fannie Hardage of Warrenton, and to them were born five sons: W.T. and W.W. of Atlanta, W.G. of St. Louis, Mo., J.E. of Perry, Florida and Otis L. of New Smynia, Fla. The second wife died in 1917 and on March 17, 1918 he was married to Miss Lorena Findley, daughter of Mr. and Mrs. S. D. Findley of Homerville. She survives him together with all his children. Born 1860 in Warrenton, GA, died 12 Oct 1926 in Homerville, GA from heart disease. 29 Nov 1874, page 2. A. H. Culpepper and Fannie M. Hardage, 22 Aug 1886, Cobb Co., GA, Book C, p 283. Atlanta City Directory, 1889 and 1890. Atlanta, GA: R. L. Polk and Co. Published on and extracted from Ancestry.com . See obituary for Dr. Culpepper. Lorena Culpepper, Wife, F, 38, M, GA/GA/GA. Obituary of Dr. A. H. Culpepper (#10048), published 15 Oct 1926 in the Clinch County News, Homerville, Georgia. (Provided by Becky (Mrs. William) Culpepper). Burial* 14 Sep 1884� Her body was interred on 14 Sep 1884 at Oakland Cemetery, Atlanta, Fulton Co., Georgia. Jennie is buried in the James T. Carter (believed to be the husband of Jennie's sister, Emma Riviere) family plot. "The friends and acquaintances of Mr. and Mrs. A.H. Culpepper, and of Mr. and Mrs. J. T. Carter, are invited to attend the funeral of Mrs. Jennie L. Culpepper, at the Third Presbyterian church, this morning at 10 o'clock." Atlanta Constitution, September 14, 1884. Virginia Louise "Jennie" RIVIERE was born ca 1852 (1860 Census). Her parents, Jacob A. Hampton REVERE and Elizabeth ABBOTT were married 26 July 1837 in Warren County, Georgia. Warren County was most likely the place of Jennie's birth. Her paternal lineage has not yet been researched. Her mother's parents were Rev. William ABBOTT, Jr., a hardshell Baptist minister, and Penelope NEWSOME. They married on 9 August 1811. Rev. William ABBOTT's father was William ABBOTT, who is buried in the, ABBOTT Cemetery near Warrenton. "A maker of buckskin pants" is engraved on his marker. Jennie grew up with several brothers and sisters. Her sisters, Cornelia, Ann, and Elizabeth, were older than she, and her brother, John, was younger. It is probable, but not confirmed at this date , that ,she also had an older brother, W. J. L. RIVIERE. Her father, also known as Jacob A. H. RIVIERE, died between 1854 (the date of John's birth) and 1859. Jennie's mother, Elizabeth ABBOTT RIVIERE married William BAILEY on 3 November 1859. That same year Jennie's maternal grandparents also died. Elizabeth ABBOTT RIVIERE's father died 13 March, and her mother died 19 July, 1859. In 1860 the BAILEY family is enumerated in the Warrenton District of Warren County. Virginia is age 8. In 1865, at age 13, she wrote in pencil a note identifying her cousin Sophrunia, whose photo was in a daguerreotype that we inherited from Jennie's daughter, Fannie Leila CULPEPPER JOLLY. She placed the note behind the glass, where it remained hidden for over 100 years. In October, 1874 she married Alexander Hamilton CULPEPPER, son of Sampson Rose CULPEPPER and Sarah Ann HALL. They married in Warren County and were the parents of four children; Fannie Leila, Keff S., Robert, and Irma. They moved to Atlanta where Alexander Hamilton CULPEPPER studied medicine at the Atlanta Medical College. The 13 September 1884 edition of the Atlanta Constitution printed that "Jennie L. CULPEPPER, wife of A. H. CULPEPPER, died on 12 September 1884 at 9:30 at her home on Simpson Street." Funeral services were held on 14 September at the Third Presbyterian Church in Atlanta at 10:00.
were buried in that same lot. Her sister, Emma, would be buried there in 1898. 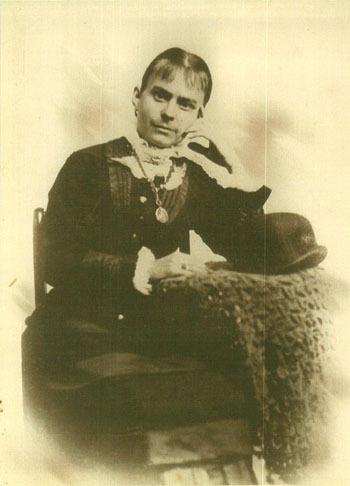 Jennie Culpepper (Mrs.), 1854 - 14 Sep 1884, 30 yrs. (Oakland Cemetery).